It is me being me, making you be you! Nitin was in a sad mood when Priya joined him in the balcony. Priya asked mischievously if he had lost a fortune when his ship sank. Nitin said “I was worried about some problems at work”. Priya was not just a good wife but she had always stayed a good friend since their marriage. So he explained the major politics happening at the highest level in office and how the morale of the team was low. Many of his colleagues were bitter and were planning to quit at the first opportunity they get. Nitin explained that the very thought of going to office irritated him these days. Priya tried giving some suggestions but Nitin was too negative to take any of them. He said “it is easier for you to suggest Priya. You should come to office and experience what we go through”. She smiled and said “let us hope things would improve. We cant do anything else. Let us sleep now”. Nitin moved slowly to the bedroom. He watched Priya entering the next bedroom. He called out “are you not joining me tonight dear?”. She replied “No. You are too negative today. I guess I need to be alone to get some good sleep”. He asked sadly “do you want to leave me alone tonight?”. She said “Not like that. I need to be alone dear. Sleep tight. Good night” and locked her room from inside. He feebly returned her greeting with a good night wish. Nitin was feeling miserable partly from his office worries and felt worse because he could not get his dear Priya to comfort him now. He could not get sleep. He walked out of his room and looked at the next bedroom door. He was wiser not to knock at the door. When she said something, she always meant it. Tonight, if she wanted to be alone, he dared not question it. He was a bit surprised that the window closer to that door was not properly closed. He tried opening the window and it opened. He knew that he could reach one of the door latches through the window but if she had put the second latch, the door cannot be opened from outside. He stretched his hand and tried opening the first latch. With difficulty, he opened it. Then he tried if the door was opening and it did. Good she had not remembered to put the second latch, he thought. He slowly walked in. If she was aware of his presence in the room, she did not show it. Soon he moved closer to her. He hugged her sideways first and then slowly moved on top of her. Priya said in a surprised tone “how come you managed to find an entry?”. Nitin said “I found a way out. To be precise, I found a way in”. Priya said “Nitin. Please go away”. He said “No. I wont and I cant”. Priya asked “my feelings don’t matter to you?”. Nitin said “it is not like that. I only hope my feelings and desires matter to you”. Priya said “yes dear. It matters to me. You want me badly now?”. “Then take me Nitin. I am all yours”. Their dresses took leave from them. With hunger in his eyes, Nitin slowly united with his dear wife with love. In their state of oneness, they forgot everything else around them. What mattered to them was being with each other and being there for each other. Their love making lasted for some more time and in the end they both were happily exhausted in a pleasant and satisfied manner. After a while, she asked “Nitin. Are you happy now?”. He said “I am mighty happy now. You saw how smartly I won finally. Are you happy too?”. She said “I am happy for you. I want you to be happy always”. Nitin asked “You saying initially that you wanted to be alone and leaving the window open were all part of the plan to make me feel happy?”. Priya said “Yes it was my plan. Had you not known it, I would not have told you now also. Remember one thing Nitin. Even if you have lost everything else, you can always win over me with your love”. Nitin was nearly in tears when he said “I love you”. They both melted in each other’s arms for the next half an hour. Later, Nitin said “we never value the good things that we have. We always worry about those things that we don’t have. You are the best thing in my life and why should I worry about anything else?”. Priya smiled and said “I just wish to be as good as you are. You are the best thing in my life too”. AND SHE LEFT… a love story! I wrote this fiction story for Women’s Era Magzine in August, 2017. When we first met, she used to draw pictures. She was young. Growing up. The pictures were like works in progress. Each one a part of something bigger. Nascent potential. All of it filled with hope, character, individuality, and a dash of irrepressible youth. I fell in love with that freedom. I fell for the enthusiasm, and the passion, and the raw emotion. At a time when people called me a robot, she chose the word subdued. It felt like something special between us. It felt like something warm. We sat together in lonely cafes, and let our coffees go cold. I scribbled words and sentences. Played, mostly. Too short to be fiction, too long to be poetry. Ideas like fragments of broken glass. She sketched objects. Played with shape and form. Sometimes a pair of hands, sometimes an ear. Sometimes the silhouette of a sleeping woman, or a sleeping man. A sleeping cat. Everything was asleep, back then. Everything mere moments from waking. We were bundles of incomplete ideas and half-experienced feelings. In this way, we fell into something like love. When I left for Japan, there was an ocean between us. There was space. It stretched time. Tampered with the flow of it. Slower some days, faster others. We shared emails and waxed nostalgic. It felt easier to focus on the past, ignore the present and the future. We shared that. The past. The others were shadows. Clouds. Haze. Sometimes, I shared my new world. I wrote it down in words, but they were always lacking. Japan changed me in ways my words would never change her. It warped my perspective — expanded it and made it flexible. In that space of stretched, tampered time, we found empty romance and lost, lingering feelings with other people. We held other bodies and kissed other mouths. This, too, felt something like love. Home was difficult. Hard. Impossible. The same, but different. I was always foreign, in Japan. Always a foreigner. But it was unsettling to return home and feel the same way. I don’t belong here anymore, I thought. Still, I longed to meet her. See her. I thought she would be different. Hoped she would be different. She would understand — or at least try — to see the colors I saw. The blends and the hues and the shadows. She might share of the fading warmth. She didn’t draw anymore. Said she didn’t have time. She worked at a small PR company as an account assistant. It was busy and hectic. Frantic. Every day, she said, but she loved the rush and the pace. She talked about office dynamics, hush-hush new deals, press conferences and potential promotion. There was too much I didn’t know. Too much I would never catch up with. I could only listen and nod. We tried to talk like old times. I told her I hadn’t kept up with Breaking Bad. I didn’t know who Sam Smith was, or his latest album. I said politics at home felt like watching a foreign film without subtitles. I said I still wrote stories. Had actually finished a couple. She smiled then, like a mother might smile at a child with a crayon drawing. She said she wished she had time to sketch again. She missed it. Loved it. Loved those days, that time, and that freedom. She sighed, like it was gone now. Like it was never coming back. She stood to go back to work. Said it was nice seeing me. I said I would get the bill, and she laughed. She said my gentle gaze and smile reminded her of a robot. I sat at that lonely cafe, and I let my coffee go cold. In my notebook, I scribbled some words and sentences. It was something like heartbreak. I realized that in that stretched, tampered time, I’d clung to an idea. A hazy fragment of what could be. It was a seed, which I planted. It flowered in my mind. But the soil of my imagination was vastly different to what remained back home. I never loved her, I thought. Not really. I loved the flower I grew. A flower I didn’t want to stop watering. It had grown to look so beautiful, however non-existent it was. Surely, somewhere in this world is a flower just like this one, I thought. I believed. It was something like hope. Not long after, I made the decision to leave. Everyone asked what I would do about money, health insurance, a pension, life, the future, my yet-to-exist family. It seemed so trivial, at the time. Out across the sea were completely different worlds. Whole new spectrums of color and culture and experience and language. People living completely different lives. And you want me to stay here, and work, and prepare for the day I retire? I will work things out, I said. Or things will work themselves out. It was something like faith. She gripped my hand in hers. It was warm. Soft. There were memories in it. So this is it, she said. I have to see the world, I said. I want to see it, and write about it, and live it. I can’t do that here. She looked me in the eyes for some time, and she smiled. And for a fleeting instant, there was something between us — the flash of a flower that could have been but never was. A flower we’d planted together, and lost in the forest that grew up around it. There was trust in her eyes. It was something like understanding. And for that, I was grateful. MH370 – Truth behind the missing Malaysian Airline! The American is withdrawing from the Afghanistan, one of their command and control system (used for controlling the pilot-less drones) was hijacked by the Talibans when the American transport convoy was moving down from one of the hill top bases. The Talibans ambushed the convoy and killed 2 American Seal personnel, seized the equipment/weapons, including the command and control system which weighed about 20 tons and packed into 6 crates. This happened about a month ago in Feb 2014. What the Talibans want is money. They want to sell the system to the Russian or the Chinese. The Russian is too busy in Ukraine. The Chinese are hungry for the system’s technology. Just imagine if the Chinese master the technology behind the command and control system, all the American drones will become useless. So the Chinese sent 8 top defense scientists to check the system and agreed to pay millions for it. Sometime in early Mar 2014, the 8 scientists and the 6 crates made their way to Malaysia, thinking that it was the best covert way to avoid detection. The cargo was then kept in the Embassy under diplomatic protection. Meanwhile the American has engaged the assistance of Israeli intelligence, and together they are determined to intercept and recapture the cargo. The Chinese calculated that it will be safe to transport it via civilian aircraft so as to avoid suspicion. After all the direct flight from KL to Beijing takes only 4 and half hours, and the American will not hijack or harm the civilian. So MH370 is the perfect carrier. There are 5 American and Israeli agents onboard who are familiar with Boeing operation. The 2 “Iranians” with stolen passports could be among them. When MH370 is about to leave the Malaysian air space and reporting to Vietnamese air control, one American AWAC jammed their signal, disabled the pilot control system and switched over to remote control mode. That was when the plane suddenly lost altitude momentarily. How the AWAC can do it ? Remember 911 incident ? After the 911 incident, all Boeing aircraft (and possibly all Airbus) are installed with remote control system to counter terrorist hijacking. Since then all the Boeing could be remote controlled by ground control tower. The same remote control system used to control the pilotless spy aircraft and drones. The 5 American/Israeli agents soon took over the plane, switched off the transponder and other communication system, changed course and flew westwards. They dare not fly east to Philippines or Guam because the whole South China Sea air space was covered by Chinese surveillance radar and satellite. The Malaysian, Thai and Indian military radars actually detected the unidentified aircraft but did not react professionally. The plane flew over North Sumatra, Anambas, South India and then landed at Maldives (some villagers saw the aircraft landing), refueled and continued its flight to Garcia Deigo, the American Air Base in the middle of Indian Ocean. The cargo and the black box were removed. The passengers were silenced via natural means, lack of oxygen. They believe only dead person will not talk. The MH370 with dead passengers were air borne again via remote control and crashed into South Indian Ocean, make it to believe that the plane eventually ran out of fuel and crashed, and blame the defiant captain and copilot. The American has put up a good show. First diverting all the attention and search effort in the South China Sea while the plane made their way to Indian Ocean. Then they came out with some conflicting statement and evidence to confuse the world. The Australian is the co-actor. Please Note: Not intended to be a factual statement! 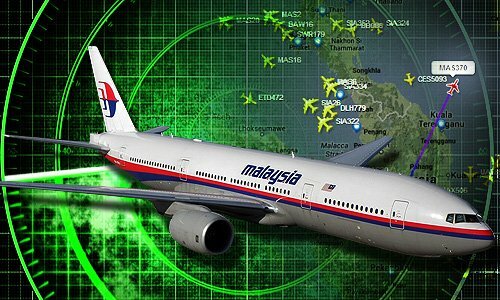 admin Malaysian Airline Uncategorized Comments Off on MH370 – Truth behind the missing Malaysian Airline! Being someone’s last love is beyond perfect! I do write novels with love stories in them. Good-looking young couples with throbbing hormones fall in love and have to be with each other. It’s an escape. It’s a rollercoaster and that kind of love is terribly fun to write. But today I want to talk about a different kind of love. Being someone’s first love may be great but to be their last is beyond PERFECT. Old people love. I know –you’re rolling your eyes. Wrinkles and passionate love scenes never really go together. I think we might be conditioned to expect firm butts and candlelight when we think of love. But some of the most stunning, real life stories aren’t about the sweaty, sideways. I’m going to give you an amazing example that’s real. Picture a couple, married in their early twenties, living through the pre-independence era. Two children, five grandchildren and two great-grandchildren later, they still held hands. She fussed over his diet because of a heart attack he survived in his fifties. He danced with her in the small kitchen of the trailer they spent their days in while retired in Lucknow. When the grandchildren called, she would get on one phone and he on the other, talking at the same time and often asking the same questions in tandem. They were so connected; maybe it was just the vast amount of time they spent together that created that distinct togetherness. failed but before he lost consciousness, he demanded that they fight for him and ignore the DNR directive. Doctors and nurses are amazing, don’t you think? And he survived, but at a cost. He had trouble recognizing people. 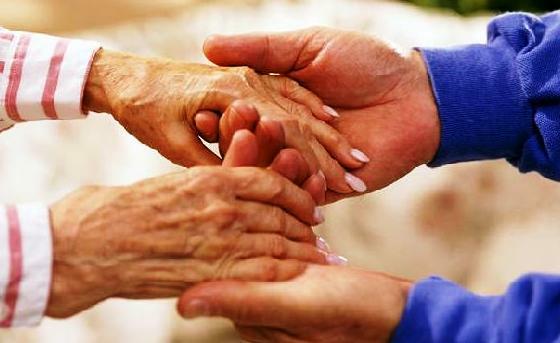 She was too frail to make the trip to the hospital often and at times he was combative. A week passed. Two weeks passed and he fought to come back to his family. Finally, finally he was able to say names, recognize his people. He looked for her, but she couldn’t make it to the hospital. So he forced himself to walk until amazingly, he came back to her. Their children helped him into their home and she rose to meet him. Him with a cane and her with a walker– they met in the middle of their sweet, small kitchen. They touched each other’s faces. They held hands. I’m not sure how much it hurts to take a breath after having two heart attacks, but he did just that for weeks to be with her. The last attack was too much for even his strong will. His final words were rejecting –yet again–the DNR orders. He wanted to go back to her. There were so many people at his funeral, all eyes on her, worrying how she would do, how she could possibly manage. It took a year. I’m not sure how much it hurts to live with half a heart, half a soul but she did just that for almost exactly a year. You see, she was just a day shy of the anniversary of his death when she returned to his arms in Heaven. She didn’t even try to fight; she wanted to go back to him so much. It is not the age that matter but the love that remained immortal. Because they did love so, so right. 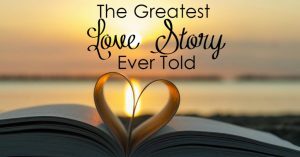 admin Blog Uncategorized Comments Off on Being someone’s last love is beyond perfect! Being a Loner in a Social World!